Not just in real estate, but actually freelance work you do from a home computer, desktop or laptop. The nice part about this freelance work, you don’t even have to be at home! You can do it from a hotel room, from 35000 feet in the air, the coffee shop downtown, even poolside while on vacation. 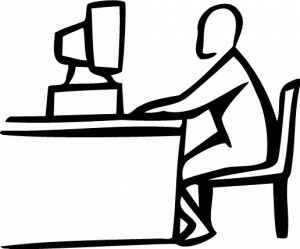 Working at home employment began to get popular several years ago, however, it was from necessity. Many office people started losing their jobs due to corporate down-sizing. They were being replaced by cheap labor from foreign lands. Thousands of people were being laid-off daily that led to putting many Americans on the brink of bankruptcy. There was a big demand for working at home jobs. What few jobs that were available, they were snagged up quickly. This is when corporate America saw a demand and a way to cash in on this demand. The fee-based working at home market was born. You can still find this market alive today, but fortunately for the rest of us, will soon start to just fade away. There are or at least were many scammers out taking advantage of unemployed people looking to work at home. 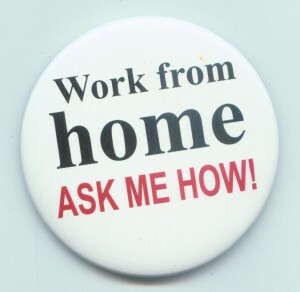 Now you can find a lot of legitimate work at home jobs with no fees. Most of them require a computer, obviously, and many of them anyone with a high school diploma are eligible for hire. Other jobs require one kind or another of a college degree or license, like that of a nurse or financial accountant. Legitimate work at home jobs all require tax information, SS #’s, W-9’s, current addresses, etc. Some of these jobs do require some experience in a particular field like to be a medical coder from a medical network. Can you speak another foreign language? You can be a translator from anywhere in the world. Some of these jobs require some travel, like in the medical field, where nurses drawing blood for life insurance companies, delivery services that deliver medicine or supplies to the elderly, even banks that need signatures on legal documents. There are literally hundreds of jobs that don’t require any money paid up front. Many of the jobs listed will be for the larger, metropolitan areas or larger cities. However, with a little research, a telephone, and just a little bit of savvy most of these jobs can be had in more rural areas. They are available but never advertised. Ask-Wonder – is a research firm that is always in need of researchers for their clients. They normally pay in a range of $15 to $25 per hour, depending on the assignment or research requested. No special equipment or experience necessary. American Consumer Opinion – Membership is free and by giving your opinion by answering online surveys you can be paid. This is a world-wide company that is accredited by the BBB. Accolade Support – Salary ranges from $7.25 to $9 per hour. The job requirements are having an updated computer, high speed Internet connection, and a land line phone service. IT technical skills, customer service and sales skills are necessary in performing duties as a call center for many various clients. If you can speak another language you can work as a freelance translator. There are jobs from around the world with 1-800-Translate. 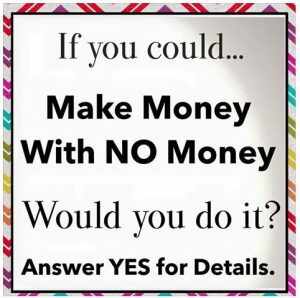 This position is actually the best of all the above jobs because this is working for yourself as a business owner. You would be using your own talents and skills to sell to others online that either don’t have the time or the skill set to do the job. If you have IT skills the fastest way to find freelance work is at Fiverr.com. There are a number of different jobs that need a skilled person doing such as designing website banners, designing logos for companies and individuals, writing skills for articles, posts, and magazines, writing code for computer programs, apps, and websites. Doing gigs for Fiverr can be considered an entry-level occupation because each job, or gig, only pays $5 to $15 dollars. However, this is a great way to expand your brand and talents to new potential clients as well as finding clients to grow your list of customers. Elance.com is also another great company to help sell your talents as a freelance writer. Many magazines need monthly articles written by writers. Also thousands of websites are looking for freelance writers and bloggers to write and research and submit content articles on their blog posts. Salary usually ranges anywhere from $25 to $50 per article. Become an author and write your own novels. Smashwords is a distributor of electronic digital eBooks and hard copy books that are sold at some of the biggest and well-known stores like Books-A-Million, Barnes and Knoble and even Amazon Kindle. You write a book, submit it to Smashwords. They publish the book for free but you share part of the selling price of the book if it sells. This way it cost you nothing up front. If the book never sells one copy, you still owe nothing. If it becomes a best-selling book, you are now a Best-Selling author and control your own destiny. 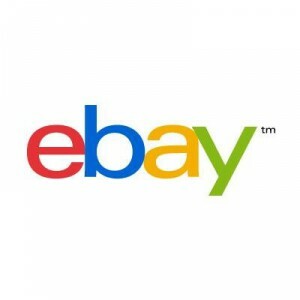 You can’t forget about the first popular online auction site at eBay.com. 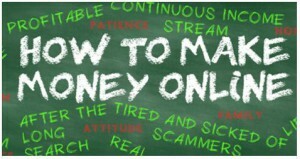 This is still a good place for people to learn how to sell online. Not just for used household items anymore. There are automobiles, boats, even yachts that are bought and sold. Many products are new and sold for incredible savings to buyers. A dear friend of mine got started selling at ebay a few years ago. She would go to garage sales and estate sales armed with her computer. When she found an item she thought would sell well at eBay, she checked out the selling price of that particular item with her computer. She now knew the selling price which helped her negotiate the buying price. She was making hundreds of dollars a month using this technique. Another alternative to the system above is to help other people sell their items on eBay for a percentage of the profits. You open a store on eBay. Then find people that would sell their items in your store for a share of the selling price. Overstock.com is another market where people open a store online to sell their wares. New and used items usually at marked-down pricing compared to stores in your area. People can also open a store and sell their items on Amazon.com. Amazon is the biggest online retail outlet in America and Europe. New and used products from A to Z can be found at Amazon. Just as the title implies, there are a couple of different strategies to capitalize on. First, if you know anything about building websites, you can approach a small business owner and offer them to build a website for them. You charge them for your services to get them online. You can then sell an upgrade package that for X number of dollars per month you will update their website, debug it, delete spam and keep running smoothly. Another way to work the above strategy is first you go buy a package deal at a Hosting service provider. Most hosting providers sell a “resell package”, which is you are allowed so much bandwidth. This enables you to put so many websites on this one account, for example,15 websites. You are now able to go sell 15 websites to 15 different businesses, at a monthly recurring hosting charge each. If you only service two websites above you will not make very much money. If however you have skills and you can maximize the number of clients you service, you will have the potential to be earning several thousand dollars each month. This is where the bread and butter can be had, operating your own website. For the simple fact that a website never closes. It can sell to people all around the world, 24/7! That means it has the potential to sell twenty-four hours a day, seven days a week. This could make you wealthy beyond your wildest dream! You have options. You can sell your own products. You can sell other people’s products. You can be an affiliate to other stores and get a commission for every sale you bring to their store. All big stores have an affiliate program. Amazon.com has one of the best. You apply for an Amazon Associates membership. 99% of people to apply get accepted. For every website visitor that you send to Amazon and this visitor buys something, anything, you get paid a commission from the sell. The commissions vary between 4% and 9%, depending on the number of visitors your website sends. Nike, Apple, Old Navy, and many, many other big stores all have an affiliate program. What I would recommend is for you to get proper training to start selling online. To be successful selling online, you must be properly trained. Just like driving an automobile, you can’t drive very well without proper training. You will be operating your own business, working at home, using your computer to earn passive income online. With over 4 billion people accessing the Internet daily there is no shortage of having lots of traffic visiting your website every day. Building a website is the easy part. To see what I mean, please see my page about how to Create-Own-Website-To-Earn-Money. But if you have already decided that this IS what you want to do, Then just click here to start your Free Online Legitimate Work at Home Business . The picking a niche and then attracting traffic is where you need training in order to be successful immediately. I would suggest you read my Review of Wealthy Affiliate for a more detailed explanation of a niche and attracting traffic. 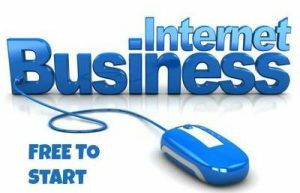 I hope you found the information you needed to start working at home to earn an income from the Internet. If you didn’t find what you were looking for, please contact me so as I can either direct you to where the information is, or help to get you started. If you found this information helpful please share it with someone you know who could use this information. Thank you. The best way to get started when you want to become a freelancer is to create accounts on different freelance marketplaces. This is the easiest way to find new contracts, new clients. One of these marketplaces is workhoppers.com where you are immediately matched with opportunities that answer your profile. Thank you, Vera, for your choice of a marketplace to submit someone’s writing skills. Another choice might be at Elance.com, where most people looking for steady writing assignments go to get employment. Fiverr.com is another but competition is mainly from third world countries. I wish you well Vera. Thank you for your visit.